​Roxy is an amazing make up artist! I happened to stubble across her website when I was looking for someone to do my make up for a gala that I was attending. I was nervous at first because this was my first time getting my make up done in Canada. But Roxy has a very warm personality and made me feel very comfortable. She did my make up exactly how I wanted it! She makes sure your make up gives you full coverage without making it feel heavy on your face. My make up lasted all night long and I got amazing compliments from family and friends. I would recommend Roxy's services to anyone and I wouldn't hesitate to go back to her again myself! P.S. She is one of the most cleanest make up artists Ive come across! "Roxette was a pleasure to work with on the actual shoot day, as well as throughout the planning process. She was extremely professional in that she was punctual, easy to communicate with, and did exactly the looks I had requested - just stunning work! Would 100% recommend her & work with her in the future"
"Roxette simply is amazing. She's one of the few people I am confident in saying has a good enough grasp on perspective to be able to figure out what is wanted from a very limited number of images and knows what to bring as a result. She was more than able to alternate her work to meet new goals whenever a new suggestion peaked everyone's interest. Overall she is very capable, and very experienced and I couldn't recommend her more." Thank you Roxy Ram for doing an amazing job getting the bridal party and I ready for our big days. You and Mrs Facing Beauty were professional and fun, you made sure we were comfortable from the beginning to the end listened to everything we wanted, you were able to incorporate our different personalities into our make up and I couldn't be more happier with the way everything turned out. Thank you thank you thank you again, you two were amazing!!! If anyone needs to look perfect Roxy Ram Beauty is the women to trust! "She did an amazing job with my make-up for our family photos and they turned out great!" I worked with Roxy Ram Beauty on a number of occasions. I have nothing but positive thigs to say about her. We worked together on a few of my fashion shows. She has always been punctual and reliable. For a fashion designer like myself it is very important that the make up on models goes well with the outfits and is done well and in a timely manner. Roxy executes the looks you give her with precision and accuracy, always on time and is able to advise on what will and what will not work. Besides fashion shows, I worked with Roxy Ram on a TV show and a few personal events. She never disappoints!!! She's a great make up artist and I recommend he to everyone! "I loved working with Roxette! She's a very talented makeup artist who knows what she's doing and knew how to make my vision come to life, she also had ideas and suggestions that were utilized to make the shoot even better. She's a pleasure to be around and I hope to work with her again soon." "This was my second time working with @roxyrambeauty and I really enjoyed both experiences. She recently prepared my makeup and hair for an interview I was having, which helped me feel confident. She was able to enhance my features to make my inner beauty shine outwards, so that my focus was on the interview itself. She is a very talented make-up artist. 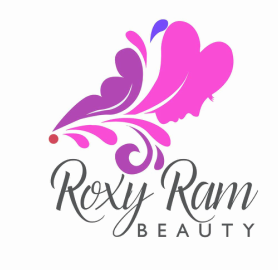 I would recommend Roxy Ram Beauty to any friends or family looking to have their make-up or hair styled for a special occasion." It was an absolute pleasure working with Roxy! She's professional, detail-oriented, and one of the kindest people I know. Hands down the most comfortable make-up experience in Toronto. Thank you girl!!! Just AMAZING !!!!!!!!!!! flawless makeup and so kind !! Amazing makeup artist not to be underestimated! I've never looked this good in years. Incredibly patient and understanding. Can't wait to work with you again one day. :) I wish you could glam me up everyday. "Roxy Ram Beauty was amazing! The experience was professional, I was aware of the whole makeup process, I got some great makeup tips and Roxy was super friendly! The makeup looked amazing and felt so light and fresh! I didn't feel like I was wearing anything by the end. The ambiance was really pleasant too. I really enjoyed Roxy Ram Beauty, I would definitely go again!" ​I would like a big Thank You to Roxy for an amazing job that she did on my daughter for her sweet 16. "It was such an amazing experience working with Roxy. She's such a down to earth type of person who easily can relate to you. She has an amazing background in all fields when it comes to make up and taught me new tips along the way. So proud to have gotten to work with her!" Roxy is one talented woman. I have worked with Roxy once before, and I LOVE how she did my makeup and my hair so much that I wanted to work with her again as soon as possible. This weekend will be my second time working with Roxy and I'm SO excited because I know she is going to do a killer job and I know she will make me look amazing :) Besides the fact that she is flawless at what she does, she is also such a kind and welcoming person. Roxy made me feel so welcome and comfortable the minute I met her, and I had such a fun and enjoyable experience. I truly believe she has a beautiful talent and I will come back for sure!" "This girl has a gift! An absolute pleasure to work with. She made me feel so comfortable and of course dolled up. I'm not too much into makeup personally, but Roxette asks about your comfort level and tailors a look to fit you preference. I highly recommend you call and work with her, like I said she has a gift for this and if you look through her page you will see why she's your choice." Had such a great time collabing with Roxette! We did 2 shoots together and her makeup is phenomenal! She's very professional but also a lot of fun to be around! "I had an awesome experience with Roxy. She was very professional and informational through the whole experience. I would definitely recommend her and I will be calling her for my make up in the future! Thanks Roxy xo"
"My first experience ever having a full make over and I loved it! It was definitely different for me, but Roxy did an amazing job! Thank you soo much"
"Roxette Ramsarran" is very professional and talented Hair & Makeup artist. She is very well dedicated to her profession and she always take full interest in the project and perform her duties significantly. Her Hair & Makeup services are very decent and of high quality. Thank you very much Roxette for a beautiful collaboration. "Working with Roxy was a great experience for myself and the client, she is very knowledgeable with what to do in makeup & hair, and makes the whole process work out to the photographer and clients needs! As a makeup artist she is open with you and will do exactly what needs to be done and more! Thank you Roxy for a great experience!" "I had a wonderful experience working with Roxy Ram on multiple photo shoots. She is professional, creative and passionate. I would recommend her based on her experience, professional quality of work and the pleasure of working with her."